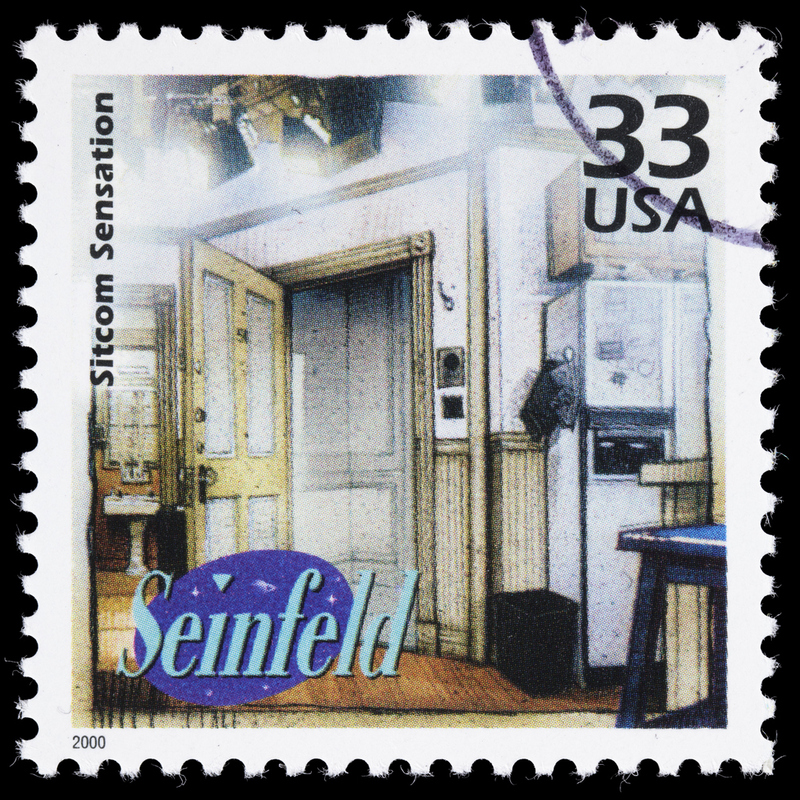 USA Seinfeld postage stamp issued in 2000 with an illustration of the main set of the television sitcom Seinfeld, as well as a variation of the show’s logo. Seinfeld first aired on NBC in 1989; it ran for nine seasons. The stamp was designed by Howard Paine and illustrated by Drew Struzan.